Sprouted buckwheat, dates, hemp seeds, raw cacao. 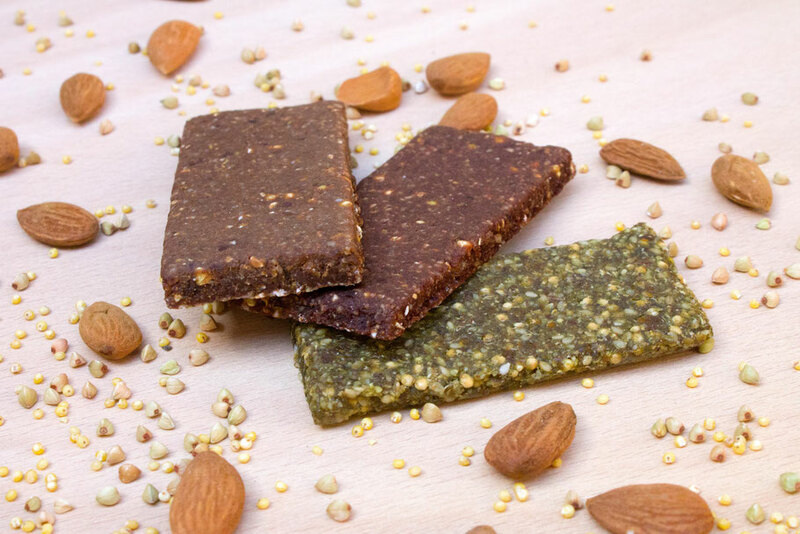 30% hemp seeds and sprouted buckwheat create a unique energy bar that gives you an excellent intake of protein and omega 3. The sweetness from the hazelnut taste and the soft texture with an intense aroma contributes towards the wellbeing of the soul. 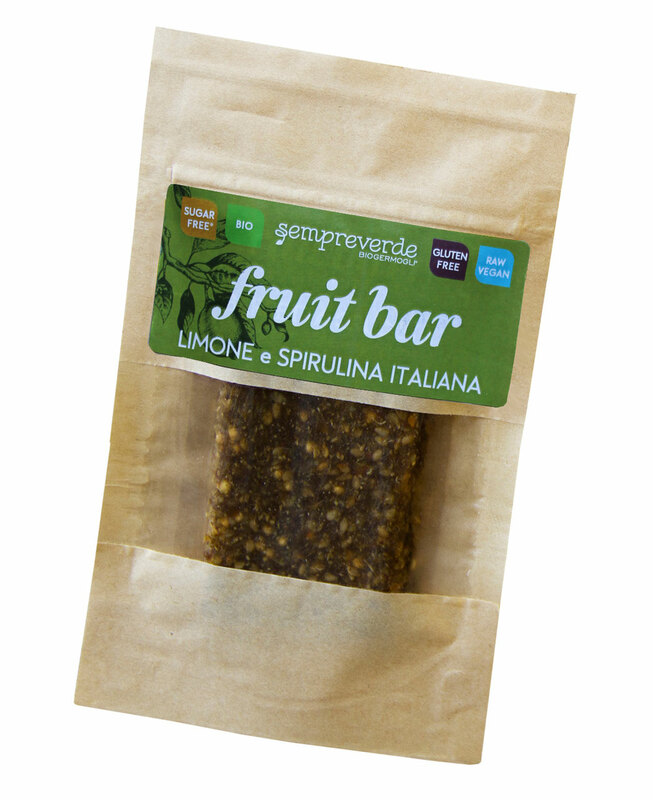 This protein bar made with pure Italian hemp seeds from Trentino-Südtirol is an excellent treat for athletes. 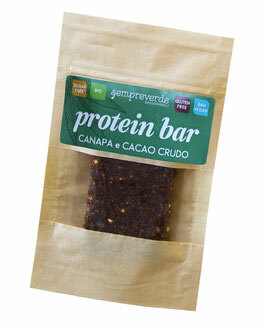 Sprouted buckwheat, dates, almonds, maca, carob flour. The precious carob fruit paired with other valuable ingredients creates an exquisite energy bar that satisfies everyone while ensuring good health. For those who are intolerant to chocolate but still are attracted by natural aromatic essence, this is a perfect solution to satisfy cravings. 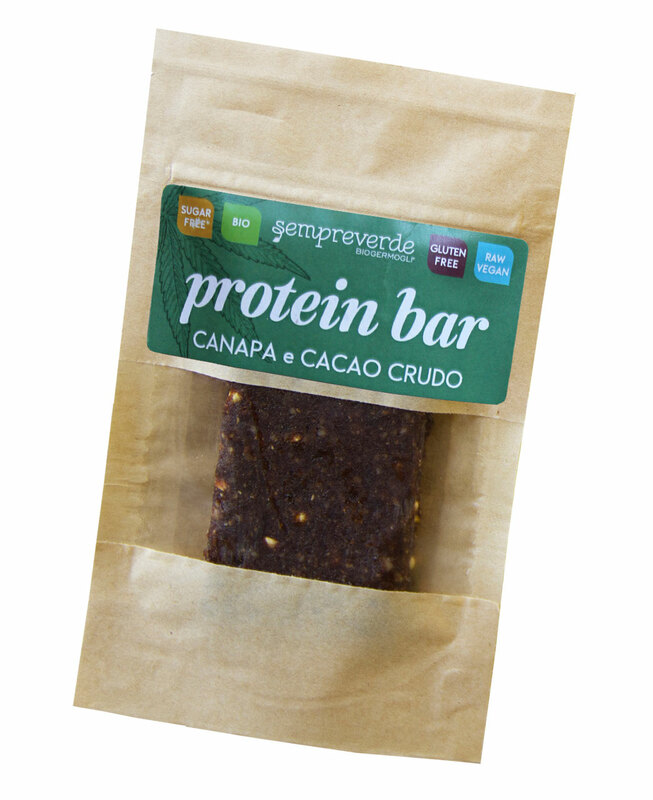 Sprouted buckwheat, dates, almonds, raw cacao, hemp protein. 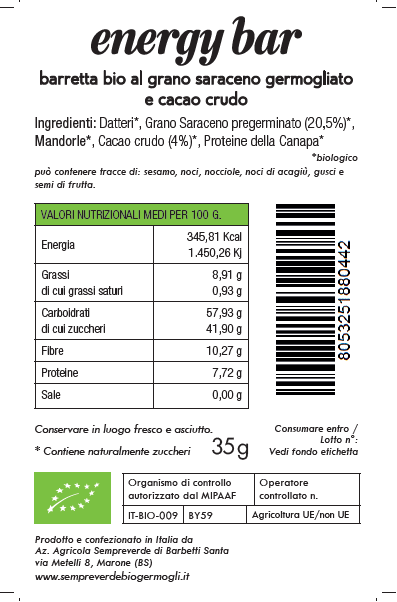 A perfect harmony between taste and health: Cacao is processed cold in order to preserve the organoleptic and nutritional qualities. This combined with dates, our natural sweetner, creates a tantalizing snack for everyone. The high content of protein present in cacao, together with hemp protein also makes this energy bar a perfect snack for athletes. 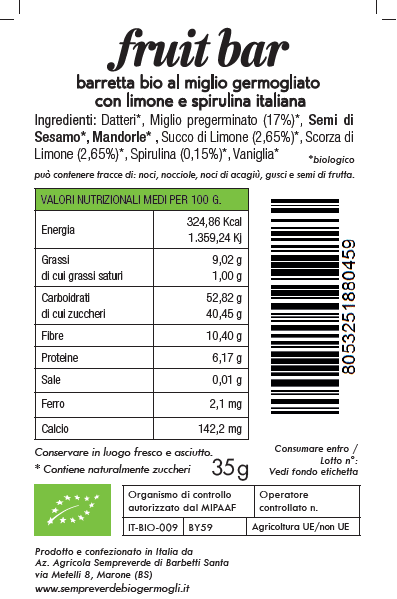 Sprouted millet, dates, sesame seeds, almonds, lemon juice, lemon peel, spirulina, vanilla. An energy bar that bonds taste and health! Freshly squeezed lemon juice combined, the distinct aroma of the lemon peel and various proprerties of sprouted millet create a very healthy confectionary. 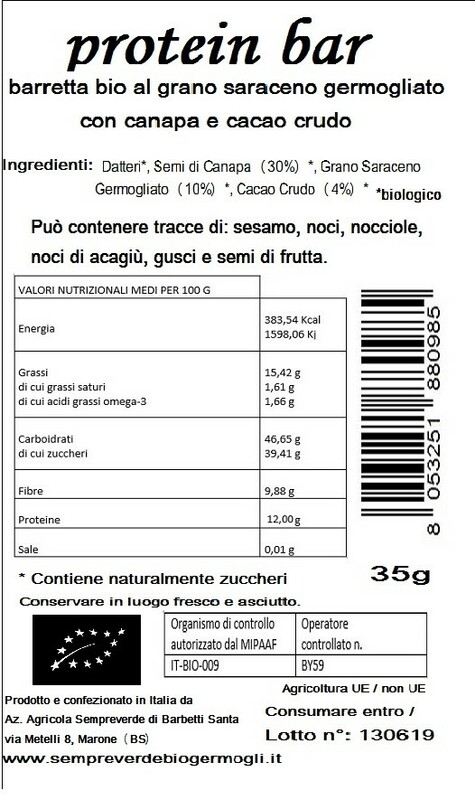 High in fibre; it is a source of iron and calcium (important for normal energetic metabolism and to combat fatigue).